Rosenfeld Injury Lawyers LLC represents people with construction accident injuries suffered in accidents such as job-related motor vehicle collisions, work-related accidents and other types of professional negligence. Our law firm has collected a series of construction worker accident FAQs related to the medical and legal aspects of an accident involving worker injuries. Should you have additional questions, we invite you to contact our office for a free review of your legal rights. Residential and commercial property construction remains a leading occupational industry in America. However, according to the Bureau of Labor Statistics, construction is a dangerous occupation that accounts for the highest rate of deadly injuries in the US. Statistics show that many construction injuries are the result of malfunctioning equipment, defective scaffolding, slip and trip events, motor vehicle crashes, falling objects, falls from a great height, crushing events, toxic exposure, and electrocution caused by electrical shock. Construction workers injured on the job often face catastrophic physical consequences that include lacerations, broken bones, contusions, traumatic brain injury, severe disfigurement, partial or temporary paralysis and death. The Construction Accident Injury Attorneys at Rosenfeld Injury Lawyers (888-424-5757) have compiled a comprehensive list of the most common construction accident frequently asked questions and posted the answers below. What Makes a Construction Site Dangerous? Commercial and residential building sites are statistically more dangerous compared a nearly all other workplaces. Construction areas are usually busy with workers, loud tools and heavy equipment that create a noisy and hazardous environment. Every worker, foreman, supervisor, project manager, subcontractor, general contractor, developer and others are responsible for maintaining their safety and the safety of all co-workers. Can “Fall Protection” Equipment Increase my Safety on the Job? Failing to provide every employee with appropriate fall protection equipment places the worker at risk. Employers can be held legally responsible for not providing the safety equipment or training the employee on how to use the equipment properly. 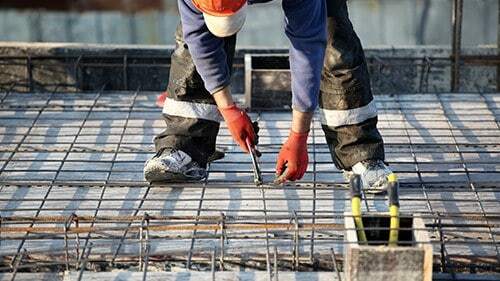 How is Safety Regulated on Construction Sites? OSHA (Occupational Safety and Health Administration) is the government agency in charge of enforcing workplace safety regulations and laws. Compliance with OSHA regulations will ensure that employers will maintain a level of safety in the workplace. Should I File a Lawsuit or Just get Worker's Compensation Benefits for my Injuries? Your employer likely maintains Worker's Compensation coverage on their workers to ensure that injured employees can receive medical and wage benefits for the time it takes to heal and return to the job. Unfortunately, Worker's Comp. benefits are extremely limited in the funds they provide the injured victim that is hurt at work, and even fewer benefits for surviving family members that lost a loved one who was killed on the job. An attorney working on your behalf might be able to identify third parties that are also responsible for your injuries to ensure you receive adequate financial compensation for all your damages. If I Accept Worker's Compensation Benefits can I Still File a Lawsuit? Yes. You have the legal right to file a lawsuit against any third party (other than your employer) to receive additional compensation to recover all your financial damages. Also, if you win your lawsuit against defendants other than your employer, you can still receive Workers Comp. Benefits in addition to the funds you receive through a negotiated settlement or a jury trial award. I Already Receive Worker's Compensation Benefits. Who Would I Sue? Your legal counsel can help you determine others whose negligence resulted in your injuries. These additional third-party defendants in your case could include other subcontractors, the site developer, vendors, visitors, material delivery drivers, manufacturers, suppliers and distributors of defective tools and equipment used at the construction site. Like all compensation claims, your case is unique. Determining who you can sue will likely require a careful review of the facts and an investigation into the incident that will be conducted by the law firm representing you in your case. Is There any Condition Where I can Sue my Employer for Negligence? Typically, injured employees are barred from filing a lawsuit against an employer even when negligence is involved. In most cases, you are legally limited to receive only worker's compensation benefits through your employer. That said, there are certain exceptions when your employer's conduct was so egregious that your lawyer can prove your boss had reckless, wanton disregard for your safety. I am an Injured Subcontractor. What are my Legal Rights Concerning Compensation? The property owner, site developer, and general contractor could potentially be a part of your lawsuit as third-party defendants if you were injured while working as a subcontractor at the construction site. Generally, the property owner has a legal responsibility to ensure that the site is maintained in a safe condition for everyone. This responsibility can extend to the general contractor and site developer or any individual/business overseeing reasonable safety procedures. An attorney working on your behalf can evaluate the merits of your case and provide numerous legal options to obtain compensation. Can I Sue if I was Just a Visitor or Passerby? After a review of your case, you may have the legal right to file a lawsuit against any contractor or property owner responsible for your injuries. A lawyer working on your behalf will likely investigate the facts of your case to determine if others could reasonably foresee a problem at the job site that would cause injury to a visitor or passerby. Why Does my Attorney Need to Retain Qualified Experts for my Case? The law firm representing you must prove how the defendants in the case are legally responsible for your injuries. Your lawyer can prove the case by using qualified experts to provide the testimony necessary to draw the correlation between how you were injured and the negligence of others. The expert can provide testimony on how the defendant violated OSHA regulations, standards of care, and safety requirements that led to your injuries. Other experts might show the extent of your medical needs, the level of your pain, and the amount of funds required to provide care to treat your temporary or permanent disabilities that resulted in the accident. What Damages can I Recover in my Construction Accident Case? Your attorney will make sure that you are receiving every available worker's compensation benefit as a part of your recoverable damages. Additionally, the lawyer will seek additional compensation for future medical expenses, lost wages, future earning potential, and future pain-and-suffering. If it can be proven that the actions of those responsible for your injuries was egregious, the judge might allow the jury to award punitive damages to punish those at fault for your damages. Getting Paid for my Injury Seem Simple Enough. Why do I Need an Attorney? If I can get More Money at a Jury Trial, Why Would I Want to Settle out of Court? Presenting evidence at trial is no guarantee that you will win your case. Alternatively, a skilled attorney with years of experience in negotiating might prove to the defendant's attorneys why settling out of court makes sense for their clients to avoid a huge payout. Typically, your personal injury attorney will provide good legal advice when discussing you when and when not to accept a settlement offer from one or all the defendants in your case. Why Does my Attorney Want to Investigate my Case? Your attorney likely has access to diverse resources that help prove your case including investigators who can identify fact-intensive evidence. Once the investigation is complete, the attorney will review all the evidence including those obtained from the scene, building materials, witness statements and medical records. An investigation is only one part of building a solid case to prove your compensation claim. Your lawyer will also seek testimony from medical professionals, construction site experts and others who can provide relevant testimony to support your case. How do I Know if I Have a Winning Case? The Construction Accident Attorneys at Rosenfeld Injury Lawyers provide no-obligation case consultations at no charge to potential clients. Call us today at (888) 424-5757 to schedule an appointment. Let us evaluate your case, review the evidence, and provide numerous legal options on how to proceed. What Information do I Need if I Want to Handle the Case on my Own? There are three valuable resources for building a case for compensation to determine who violated regulations, understand construction site injury statistics, and the worker's compensation benefits available to every injured employee. These resources include the Occupational Safety and Health Administration (http://www.osha.com), the Bureau of Labor Statistics (http://www.bls.gov) and Worker's Compensation Facts . The extent of your injury and how much in medical expenses you will generate in the future to treat your temporary or permanent accident-related disabilities, You injuries might involve partial or total paralysis, loss of a limb, or disfigurement. The impact your injuries have on your lifestyle and the need to make significant changes to continue normal Activities of Daily Living and hold down a job. The nature of the claim you filed that includes worker's compensation benefits to pay for medical costs and lost income. How can I Afford to Hire an Attorney to Handle my Case? The Rosenfeld Injury Lawyers law firm accepts all personal injury cases, wrongful death lawsuit, and construction accident injury claims for compensation through contingency fee agreements. This arrangement will postpone payment of all our legal services until after we have resolved your case through a negotiated settlement or jury trial award. With our law firm, you will never be at risk of paying our legal services if we are unable to secure compensation on your behalf. Our “No Win/No-Fee” Promise is a guarantee you will owe us nothing if we do not win. If you have been injured or you lost a loved one in a construction accident, you are likely entitled to receive monetary recovery for your damages. The construction accident injury attorneys at Rosenfeld Injury Lawyers (888-424-5757) can provide immediate legal services to ensure that your family is adequately compensated for your injuries or losses. Our legal team accepts all personal injury cases, wrongful death lawsuit, and accident injury compensation claim through contingency fee agreements. This arrangement means that all payment for legal services are postponed until after we have successfully resolved your case at trial or through a negotiated settlement.